January 04, 2015 by Luis Umpierre Jr. and Luis Umpierre Sr.
(((Another 100% Hook Up Ratio))) @ Bayside Fishing Charters with Captain Luis Burgos. The Bay’s sea conditions where out of the ordinary with high winds and 2-3 feet waves but that didn’t stop this power couple in accomplishing this great task. 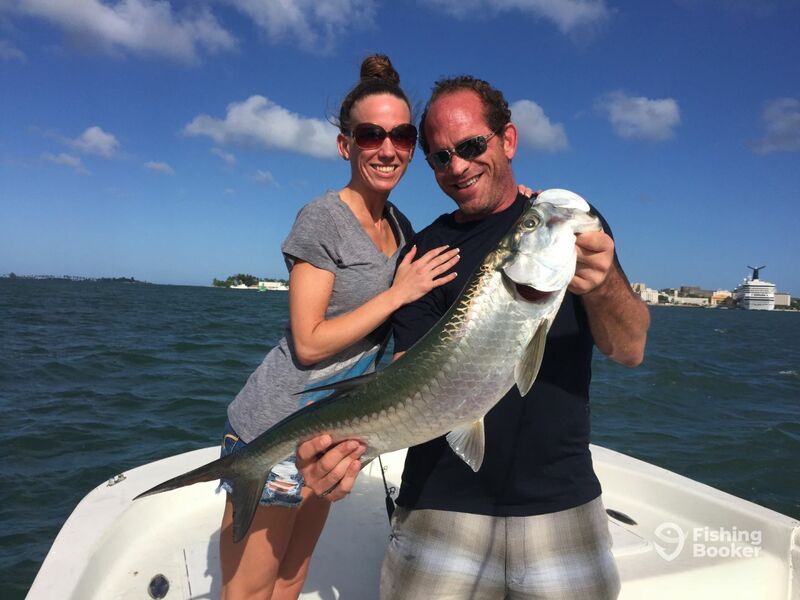 Congratulations Bill and Amy for a 100% hook up ratio with 2 Tarpons & 1 Jack Crevalle landed and released this morning at San Juan Bay Puerto Rico.